Where to find Baie Sainte-Catherine hotels near an airport? Where can I find hotels in Baie Sainte-Catherine that are near tourist attractions? 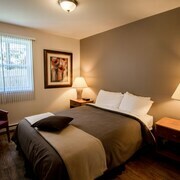 You will find a number of places to stay to consider when arranging your trip to Baie Sainte-Catherine. 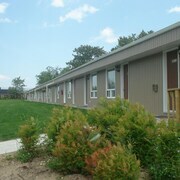 Baie Sainte-Catherine has around 15 hotels within a 0.1-kilometre (0.06-mile) radius of the town center. 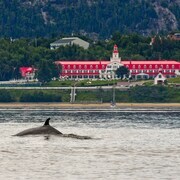 There are some hotels within driving distance, such as the Hôtel Tadoussac and Motel le Vacancier. 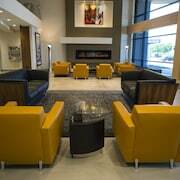 30 kilometres (20 miles) from the main part of Baie Sainte-Catherine, is the Best Western Plus Hotel Levesque. Alternatively, the Canopee Lit is situated 18 kilometres (11 miles) away. The Quality Inn Riviere-du-loup and also the Auberge De La Pointe are two other accommodation options worth looking into in Baie Sainte-Catherine. Looking for things to do? Spend the day discovering Tadoussac Marina and Saguenay–St. Lawrence Marine Park, which you'll find in Tadoussac, 9 kilometres (6 miles) to the northeast of Baie Sainte-Catherine. 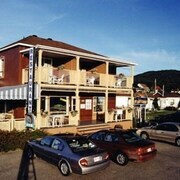 Some of our recommended Tadoussac hotels are the Hôtel-Motel Baie-Sainte-Catherine and Hotel Le Pionnier. 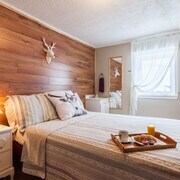 80 kilometres (50 miles) to the southwest of Baie Sainte-Catherine, you may also choose to stay at Saint-Joseph-de-la-Rive, which is home to the Auberge La Maison sous les Pins and Hotel La Roche Pleureuse. If you stay in Saint-Joseph-de-la-Rive, set aside a little time to check out the St-Joseph-de-la-Rive Ferry Terminal and Charlevoix Maritime Museum. Before you leave Charlevoix, make sure you experience local game. 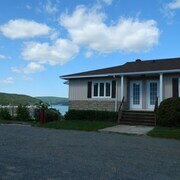 Visit Arena Luc et Marie-Claude to the southwest of Baie Sainte-Catherine. 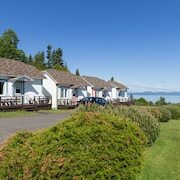 Those sports fans wanting to stay close by can choose from the Auberge La Grande Maison or the Hotel Baie-Saint-Paul. Why not visit Expedia's up-to-date Baie Sainte-Catherine travel guide and discover the fascinating cultural and scenic attractions that this area offers visitors. 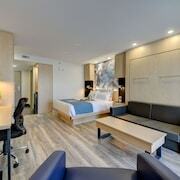 What are the most popular Baie Sainte-Catherine hotels? Are there hotels in other cities near Baie Sainte-Catherine? 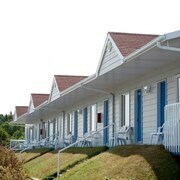 What other types of accommodations are available in Baie Sainte-Catherine? Explore Baie Sainte-Catherine with Expedia.ca’s Travel Guides to find the best flights, cars, holiday packages and more!